In the early summer, I had the opportunity to lend my voice as a spokesperson to a campaign that has changed my life, recentered me in my “Why…” and been something I’ve been incredibly humbled by but so proud of. 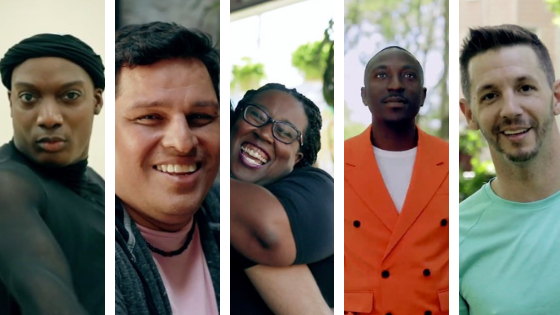 The Positively Fearless social media campaign, sponsored by the Janssen Pharmaceuticals of Johnson & Johnson is a patient advocacy campaign focused on promoting what redefining what it means to live with HIV and looking towards the future with purpose and promise. So much is possible when you’re living Positively Fearless and I had the opportunity to uniquely define what that means to me, along with fellow advocates Jahlove Serrano, Daniel Garza, Guy Anthony, and Robert Breining. Together, the five of us speak not just about our diagnosis, but overcoming challenges and mindsets to live free from stigma, take control of our treatment, practice self-care and putting ourselves first to live our best lives. I said earlier that this campaign has recentered me and it’s a process so I won’t go into all of it here, but I will share that the timely reminder that I can take charge of my health, keep my viral load suppressed and navigate challenges in the whirlwind of the advocacy work that is piled up on my plate — was a helpful and sanity-saving reminder. So much so, that before the campaign’s video series even launched, I had gone to the website www.positivelyfearless.com and downloaded their self-care materials to use for a workshop on self-care with PositivelyU. I don’t believe in coincidences, and the opportunity to work with the clients, better known as STARS of PositivelyU on empowering them to have the difficult conversations with providers, prioritizing time for self or simply being in tune to their environment was a dual-learning experience I will forever be grateful for. Take a moment to visit the website and check out the materials, swipe through the Instagram account and be a part of the conversation. Declare “I am Fearless” and share how — whether you are living with HIV or not. How are YOU living Positively Fearless?